Get inspired by our pink-terest board! Whether you're new to wear it pink or a seasoned pro, get some inspiration for your fundraising from our new Pinterest board. If it’s your first time joining us for wear it pink, you may need a little bit of inspiration to get your planning started and help you put together a fabulous wear it pink day. If you’ve done wear it pink before, or if you’re a fundraising pro, you might need a few fresh ideas to make sure your event is as fun as ever. We’ve put together our new fabulous wear it pink Pinterest board to inspire you and give you lots of easy and fresh ideas for your very own wear it pink party. You can even create your own online mood board to make sure it’s exactly perfect for you. On our fabulous Pinterest board you’ll find lots of ideas and tips for your event. We’ve got costume ideas and tips for how to dress in pink, including fancy dress and ways that you can jazz up your uniform or suit. There are activities that can help you raise lots of cash, and get your whole workplace, school or friends involved. 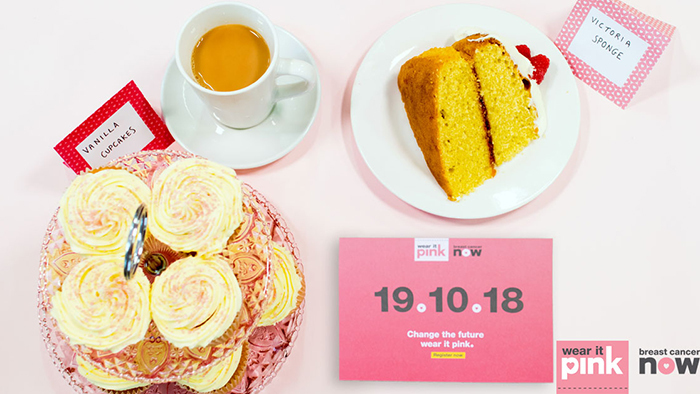 We’ve also got lots of recipes you can use in your bake sale – both yummy treats and delicious healthy alternatives - so that everyone can feel involved in your wonderful wear it pink day. We want to say another massive thank you for registering to organise your own wear it pink event, and raise money to help make our life-saving breast cancer research happen. You are truly amazing, and we couldn’t do any of it without people like you! If you would like any help with your fundraising, or if you have any questions about your wear it pink event we would love to hear from you! You can give us a call on 0333 20 70 300 or pop us an email at wearitpink@breastcancernow.org. Happy planning and get Pinterest-ing!